Performance Radiator by DDMWorks for the Polaris Slingshot. High quality manufactured by Griffin Thermal, designed by DDMWorks. 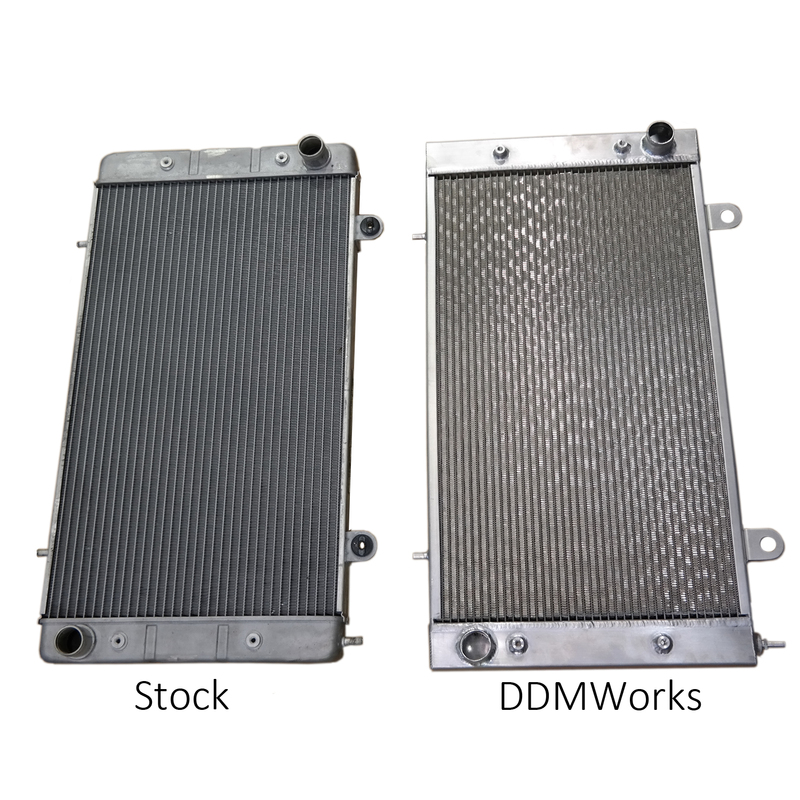 Replacing your current Slingshot radiator with a DDMWorks performance aluminum radiator gives you a more efficient, greater capacity cooling system that will undoubtedly allow a more efficient running engine. All DDMWorks Polaris Slingshot performance aluminum radiators are designed and engineered specifically for the Slingshot to maximize cooling efficiency, protect your Slingshot from the overheating, and boost overall engine performance. 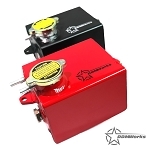 With its lightweight core, 100% vacuum brazed aluminum construction, and hand TIG welded tanks, installing a DDMWorks radiator is effortless, no cutting or modification is required. 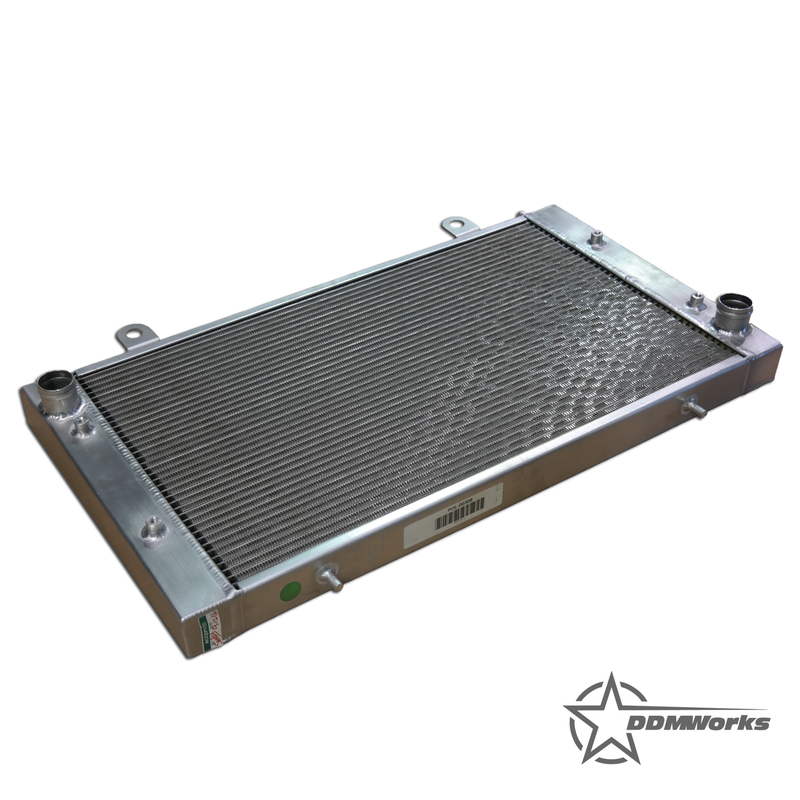 Vacuum brazing in the manufacturing process is the key to the performance, strength, and durability of the DDMWorks aluminum radiator. After the radiator is assembled, all of the components must be joined (brazed) together by accurately heating it to a high temperature (approx. 1,100 degrees F). The two brazing processes most commonly used are Vacuum Brazing and CAB (NOCOLUX) Brazing. Vacuum brazing requires magnesium to braze, and magnesium is the alloy that gives aluminum its strength. Magnesium is used in the aluminum alloys for aircraft frames and in the structural components of vehicle chassis where high strength is required. 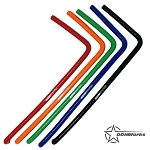 A CAB (NOCOLUX) brazed aluminum product is less expensive, but does not have the equivalent strength of a Vacuum Brazed product because magnesium is absent in the CAB brazing process. 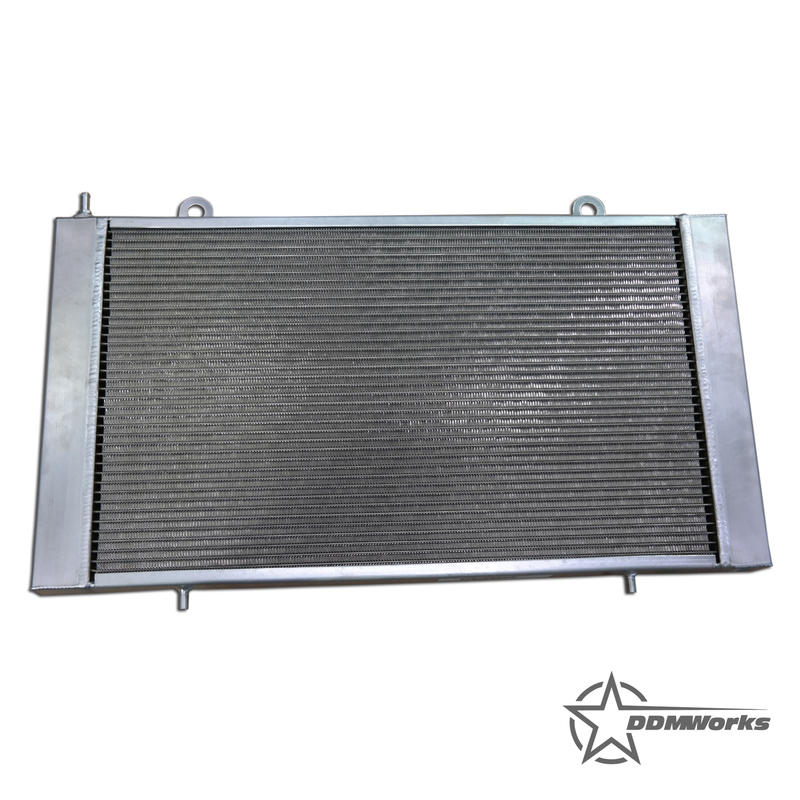 This less expensive CAB process results in a substantially weaker product, that is why all DDMWorks performance radiators are vacuum brazed, which although is more expensive to produce, results in a stronger and more durable radiator for your Slingshot.